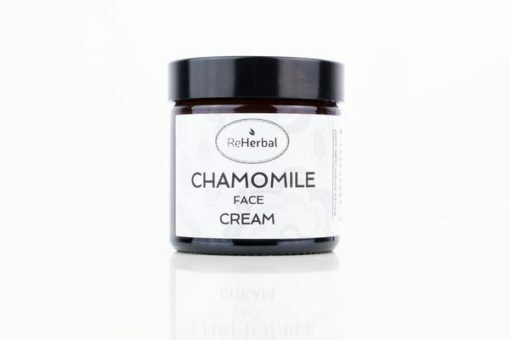 Our handcrafted Chamomile Face Cream has a soothing effect and helps to protect your skin from external irritants. Calming chamomile is exactly what you need to treat your skin with. 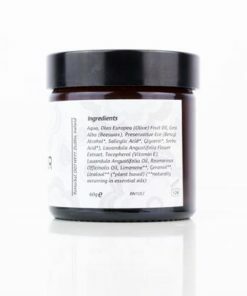 It has regenerative and rejuvenating properties that promote your skin health. Hydrating Chamomile Face Cream for everyday use. A natural face cream with soft and luxurious sensation on your skin. 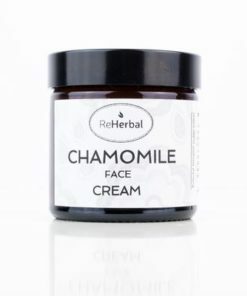 Chamomile face cream has a soothing effect and helps to protect your skin. 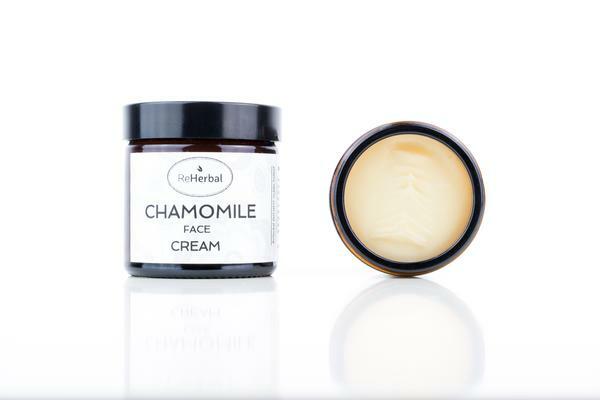 Antibacterial and anti-inflammatory Chamomile helps with dry skin, cuts, scrapes, and itching. Chamomile Face Cream is calming and designed to treat sensitive skin. Promotes the growth of new skin cells and protects your skin in extreme weather conditions. Moisturizes your skin and prevents wrinkles. Helps with the healing of the irritated or damaged skin. 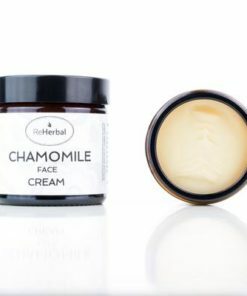 Our Chamomile Face Cream is remarkable due to its hydrating effect. Use it before bedtime and feel the difference the next morning. It is a perfect substitute for any primer cream. The face cream is made from top quality natural ingredients to give your skin what it desires. 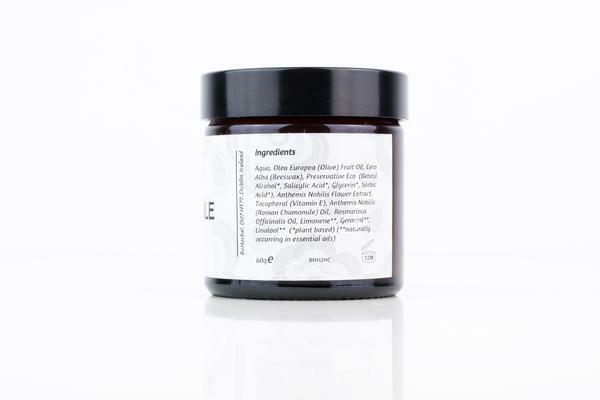 Fully nourishing cream with vitamin E and beeswax.